Sleep is hypothesized to play an integral role in brain plasticity. This has traditionally been investigated using behavioral assays. In the last 10–15 years, studies combining sleep measurements with in vitro and in vivo models of synaptic plasticity have provided exciting new insights into how sleep alters synaptic strength. In addition, new theories have been proposed that integrate older ideas about sleep function and recent discoveries in the field of synaptic plasticity. There remain, however, important challenges and unanswered questions. For example, sleep does not appear to have a single effect on synaptic strength. 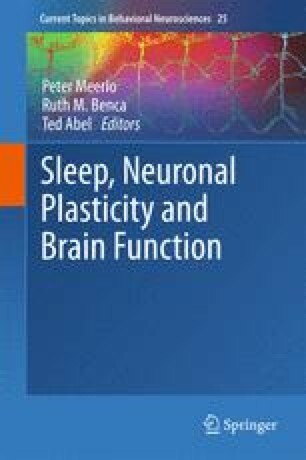 An unbiased review of the literature indicates that the effects of sleep vary widely depending on ontogenetic stage, the type of waking experience (or stimulation protocols) that precede sleep and the type of neuronal synapse under examination. In this review, I discuss these key findings in the context of current theories that posit different roles for sleep in synaptic plasticity.